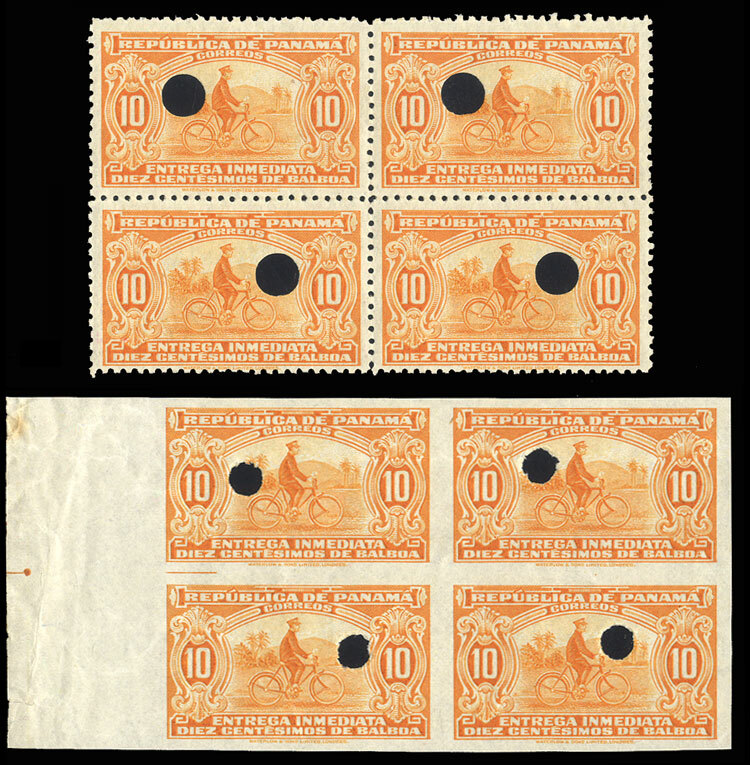 1929 10c orange, perf. and imperf. blocks of four, the latter without gum, each stamp with security punch, fine-v.f.